Since COPD causes breathing difficulties, even when you’re not moving, it may seem counter-intuitive to add physical activity to your daily regimen. Exercising with this condition may sound impossible or uncomfortable, to say the least. However, physical therapy is one of the most empowering ways you can take control of your health. As you’ll see, under the supervision of your team of specialists, physical therapy improves not only your condition, but other aspects of your life you might not even expect. You may be able to achieve goals you didn’t know were possible while living with COPD and perform your daily routine with much more ease. Every visit with your therapist helps you maximize your body’s capabilities. If your doctor recommends COPD rehabilitation, you may have some questions about the program. Below are the answers to the top 6 questions patients regularly ask about COPD physical therapy to help familiarize you with the process. 1. How Can I Possibly Exercise with COPD? While any physical activity may seem challenging with a pulmonary condition, you might be surprised how good you feel once your body starts adapting to therapy. The effectiveness of the program relies on the expertise of skilled specialists. A trained therapist is the best person to determine the precise amount of exercise that’s right for you, which is ultimately enough to make a difference without overwhelming your body. You don't have to worry about performing long, grueling workouts you dislike either. Training tends to focus on gentle, easy activities such as stretching, walking, and low-impact aerobics, which you should find enjoyable. Breathing exercises and relaxation techniques are also included to support your efforts. Your therapist gradually progresses the training as your body responds, increasing your endurance and muscle tone in a safe, effective way. He or she pays particular attention to strengthening the muscles that help you breathe, so exercise gets easier. If you were to remain sedentary, your body would become deconditioned and your breathing difficulties would likely increase. Alternately, exercise tends to extend and improve life for those with COPD. Typically, once patients experience the benefits of physical therapy firsthand, they wonder how they could possibly cope with COPD without exercise. 2. How Will COPD Rehab Help My Condition? As we discussed in the previous section, COPD rehabilitation improves your physical capacity, including aerobic and muscle conditioning. You should notice that you can do more activities without getting winded. You may also notice some other benefits as your body adapts your new routine. You might think exercise would cause breathing difficulties, but it does the opposite. As your blood circulation picks up, it carries more oxygen throughout the body. Training also optimizes your heart and lung function and primes your diaphragm (the major muscle responsible for breathing) so you can breathe better. 3. What Happens During a COPD Physical Therapy Session? Your therapist creates an individualized treatment plan for each patient, taking your doctor’s recommendations, your preferences, physical condition, and other factors into consideration. No two physical therapy sessions are alike. However, you can usually expect a mixture of these common protocol for COPD rehab. Gentle stretches and breathing exercises wake up your body and prepare it for your training session. The movements help relax the body and improve flexibility. Likewise, your therapist may also take you through a post-training stretch and cool-down session to safely bring your heart rate down and prevent soreness. Your therapist helps you safely improve your cardiovascular function with exercises that increase your heart rate, such as walking or swimming. He or she helps control your environment and intensity so you don’t have to worry about overdoing it. Your therapist may take you through a series of exercises using your bodyweight, resistance bands, or weights to help you improve muscle tone. They ensure you perform the moves with proper form and the right amount of resistance. The movements help strengthen the muscles that help you breathe and perform your everyday activities. Your therapist also assigns homework after your session with guidance on how to perform the exercises at home. Your active participation helps you achieve optimal results. For the most benefits, experts recommend working your way up to 3-4 half-hour workout sessions per week. 4. What Else is Included in My COPD Rehabilitation Plan? Physical training is just one fundamental aspect of your COPD rehabilitation treatment plan. You’ll work closely with your healthcare team to develop the personalized treatment plan necessary for your optimal recovery. Your dedicated healthcare team may consist of a number of specialists including your primary doctor, pulmonologist, nutritionist, physical therapist, and counselor. Each makes a crucial contribution to your recovery plan and works in conjunction with the others to support and maximize your treatment. If you have any coexisting chronic conditions, your healthcare team may include additional specialists with extra considerations. Your providers work together to address every treatable aspect of your health to improve your quality of life. 5. How Long is COPD Rehab? The recommended length of your treatment plan is exclusive to you. Your doctor and specialists will create a roadmap with rough estimates toward rehabilitation, but many factors may impact your progress along the way. Generally, patients can expect to attend 2-3 hours of training and education three days per week for a minimum of six weeks. Your sessions may differ depending on whether you attend on an inpatient or outpatient basis, in addition to other considerations. For many patients, longer treatment plans create better, cumulative results. Even after your rehabilitation, you may benefit from ongoing support such as maintenance physical therapy sessions to make sure you reach your long-term goals. 6. How Do I Choose a Pulmonary Rehab Facility? Your choice of rehab facilities is an important one. Not only do you want to consider the quality of care, but you need to make decisions about your own comfort and availability. Rehab Select is a great choice for pulmonary rehabilitation. Among our 5 facilities, we offer a full spectrum of multi-disciplinary specializations under one roof. 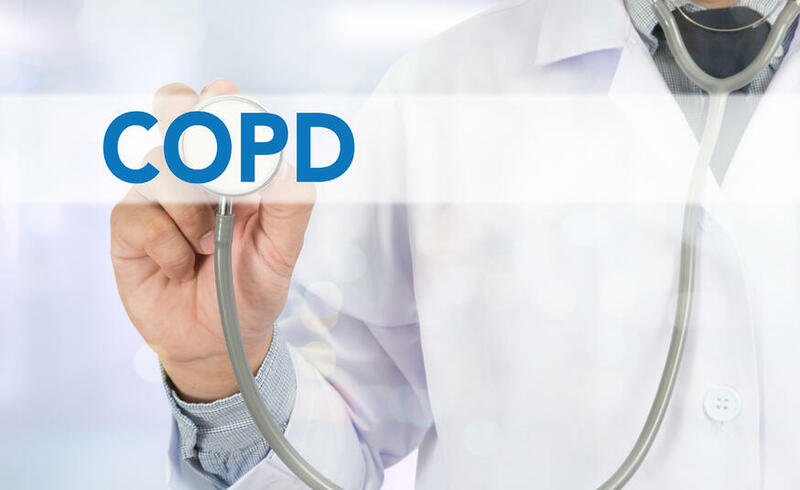 Most patients are able to address all of their COPD rehabilitation needs in a single facility with convenient consecutive appointments. We also offer both inpatient and outpatient services so you can return to the same facility and providers once you’re discharged. Contact Rehab Select online or over the phone to request more information about COPD rehabilitation.